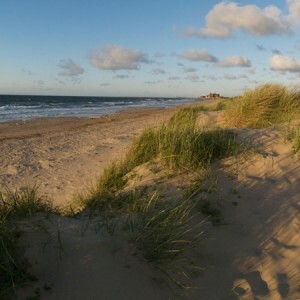 It wouldn’t be a trip to North Norfolk without exploring one or all of our great beaches. Whether you are looking to entertain the kids while you soak up the sun, wear out the dogs, or just enjoy a romantic stroll, you can’t leave North Norfolk without experiencing sand between your toes. 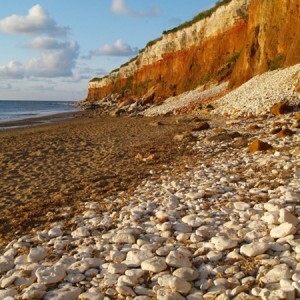 Hunt for fossils in the fallen rocks and cliffs and explore the rock pools at low tide. Enjoy a long walk from the harbour along the bank and relax in the quiet dunes. Just park up, grab a bucket and spade, an ice cream and you are on the beach in minutes. A great family beach. Everything you would want from a beach. Famously walked on by Gwyneth Paltrow in Shakespeare in Love. Golden sand that goes on for miles, grass-covered dunes to shelter in and pinewoods to explore. Voted Britain’s best beach in the Coast Awards for three years running. Lined with brightly coloured beach huts and not far to go to reach the water. Push the boat out and hire a beach hut for the day. Contact Pinewoods Holiday park 01328 710439 or for a beach hut with all the extras contact Patricia Miller 07817 571022. You can forget the bucket and spade, because Cley beach is covered in pebbles. Sit backand listen to the roar of the waves as they crash up over the shore. If you fancy a long walk, then head east down towards Blakeney Point. Check out one of only two remaining piers in North Norfolk. Ideal for swimming and rock-pooling at low tide, and while you are there why not learn to surf with the help of The Glide Surf School. Available from May to October. Call Benjamin for details 07966 392227. You will find car parks at all the beaches listed here. As tempting as it may be, please do avoid parking in residential areas as this does cause problems to traffic and local residents. Please also ensure that you take all of your litter home… take only pictures, leave only footprints.